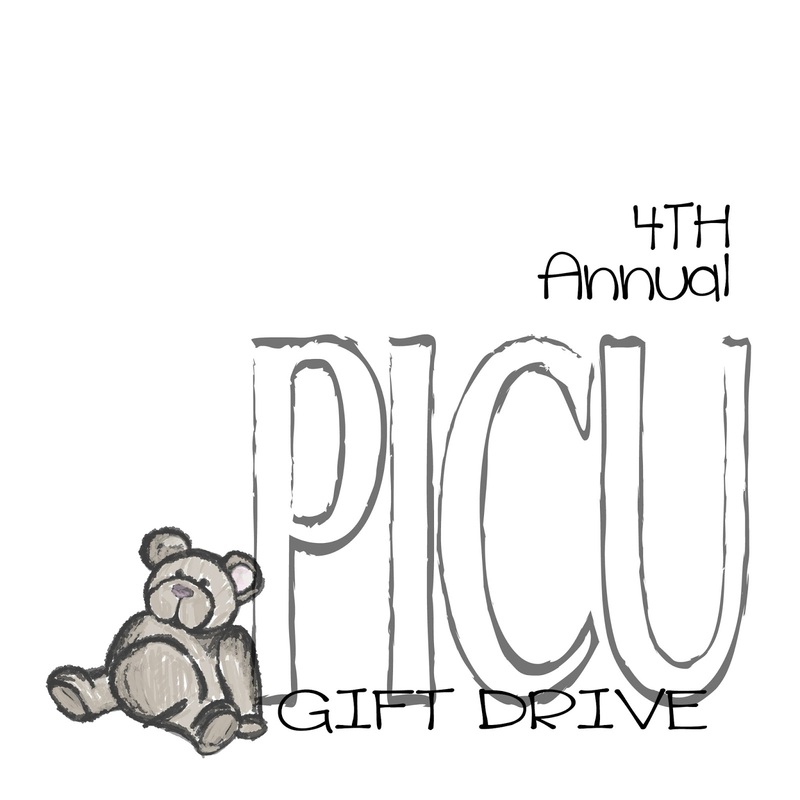 PICU Gift Drive Logo - from sketch to final design! 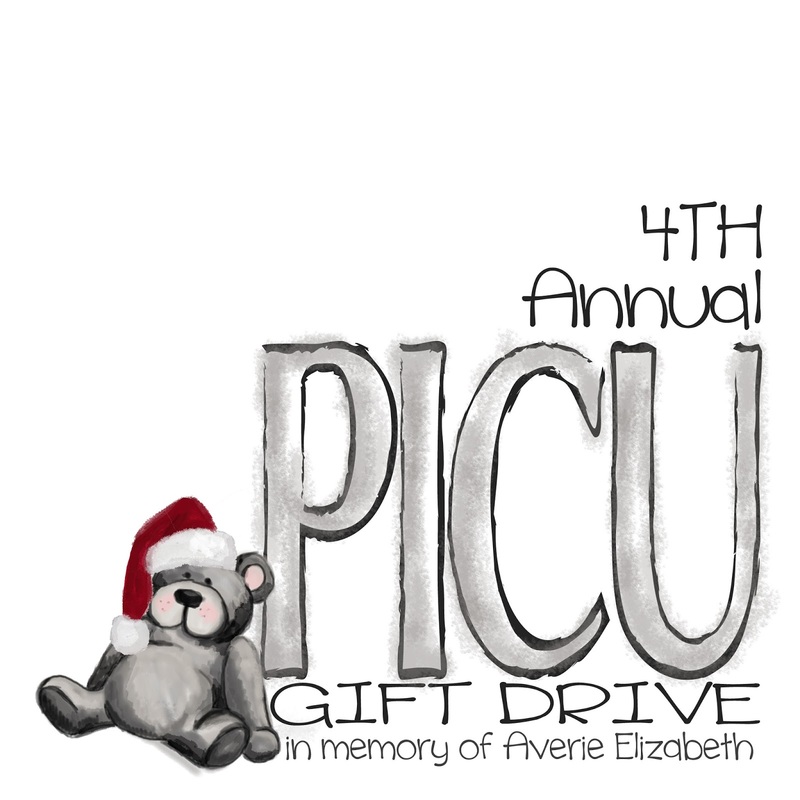 | Averie Lane: PICU Gift Drive Logo - from sketch to final design! 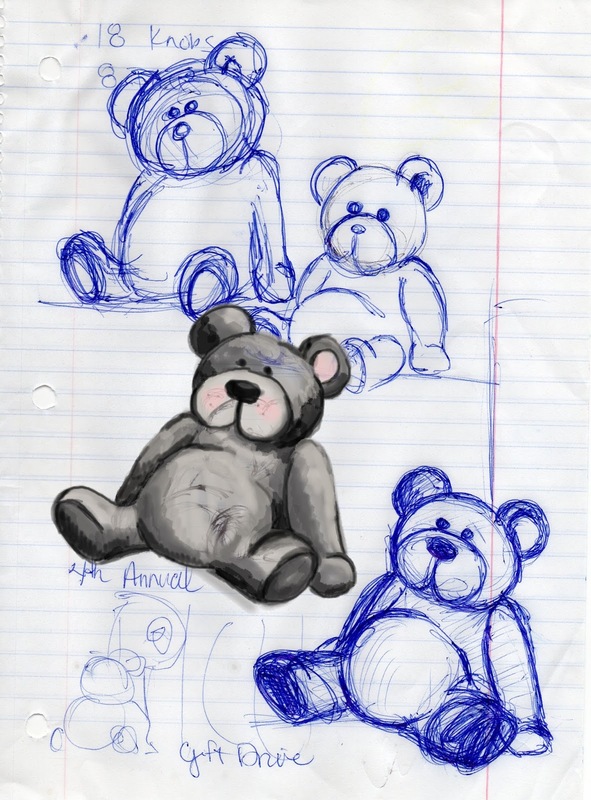 PICU Gift Drive Logo - from sketch to final design! Even though its a little fundraiser in the grand scheme of things, I still want to give it a professional look. 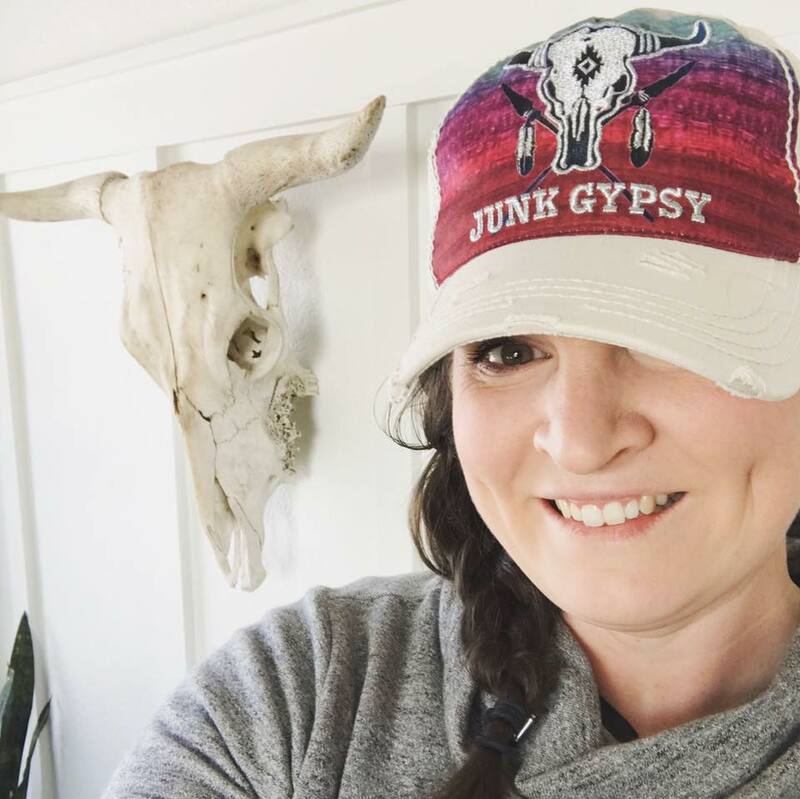 I have tried several styles as the years have progressed (HERE, HERE), but this year, an idea came to me that I just NEEDED to follow through on. 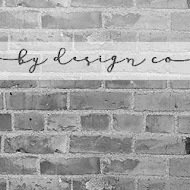 So, today I wanted to take you through my process on making a logo. 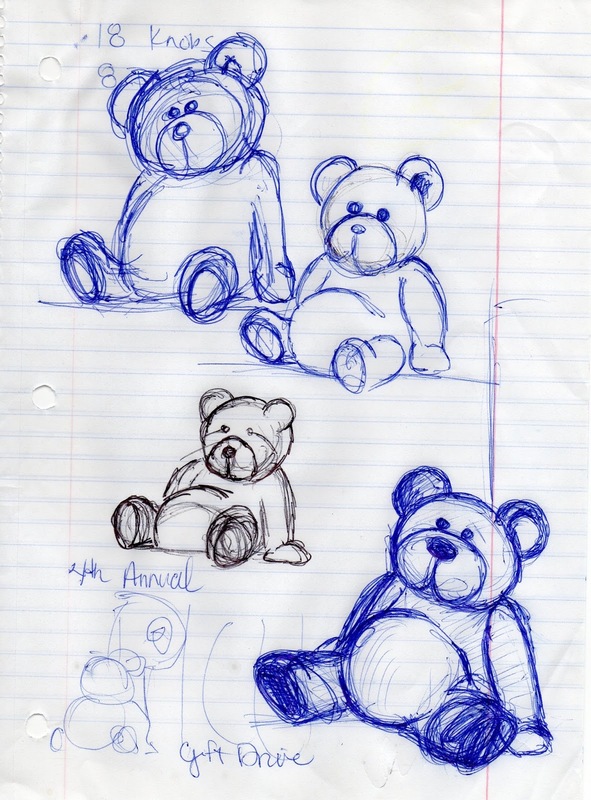 First, I sketched out these little guys. 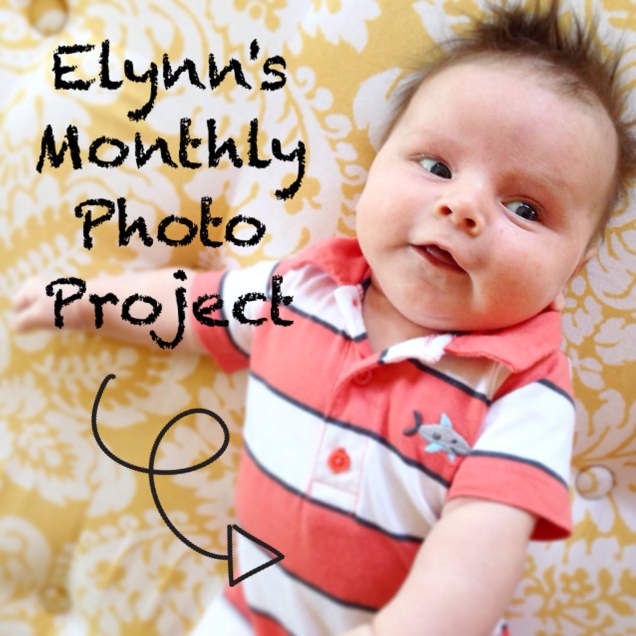 I wanted a slouchy little teddy bear to lean against the word PICU and it took a few tries to get it right. Elle, really liked the bottom right one, so I decided to go with it. I then scanned this image into the computer and opened it up in PSE. I created a new layer over my image and used my Bamboo tablet/pen to trace over my sketch with the different paint pen options. To say the least, it didn't quite live up to the vision in my head. My bear was OK, but not as clean as I wanted it. It felt rushed and choppy. So I gave it another go. It so much better don't you think! 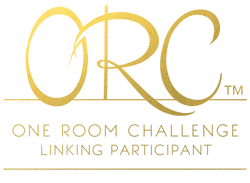 Here's what he looks likes placed in the final logo - with the addition of a Santa hat! Do you think he is as cute as I think he is? I'm still on a learning curve using my tablet, but this little project has lit the fire under me and I'm starting to think it might be time I move forward on some dreams that have been brewing for YEARS!